Experts from the National University’s Veterinary and Entomology schools issued a warning this week about the possible spread of Chagas’ disease throughout Costa Rica. A recent investigation by researchers at the university found people infected with Chagas’ disease, which is spread by kissing bugs, in the provinces of San José, Alajuela, Heredia and Guanacaste. The most common symptoms of Chagas’ disease are conjunctivitis, fever, poor appetite and sore throat. During the acute phase of the disease, the first visible signs can be a skin lesion or a purplish swelling of the eyelid, as well as fever, headache, enlarged lymph glands, pallor, muscle pain, difficulty breathing, swelling and abdominal or chest pain. There is no vaccine for Chagas’ disease, but it is curable if treatment is initiated soon after infection. People often disregard symptoms or confuse them with other illnesses. Therefore the disease can go unnoticed until its worst effects appear up to 20 years later, according to the UNA report. Up to 30 percent of people chronically-infected with Chagas’ disease develop cardiac alterations that can lead to sudden death or heart failure caused by progressive destruction of the heart muscle and its nervous system. Up to 10 percent develop digestive, neurological or mixed alterations which may require specific treatment, according to the World Health Organization. The disease is spread by the triatomine bug, commonly known as the kissing bug, or “chinche” in Costa Rica. It can be found mainly in areas up to 1,600 meters above sea level, usually in damp spaces, in woodpiles and near livestock or pets. The insect carries a parasite — Trypanosoma cruzi — that enters the bloodstream when the insect bites a person (often near the mouth, hence the name “kissing bug”) or when a person comes into direct contact with the insect’s feces. Chagas’ disease can also affect dogs, which easily come into contact with infected bugs. Dogs can be asymptomatic and then suffer sudden death. Chagas’ disease cannot be transmitted by another person or animal, according to Gaby Dolz, one of the veterinarians who participated in the study. One of the hotspots for the disease is the community of Getsemaní in Heredia. 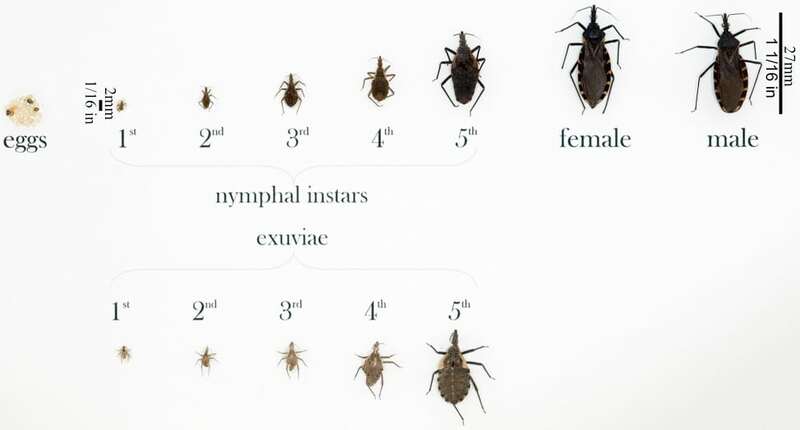 University investigators inspected 177 houses in Getsemaní and found kissing bugs in 21 of them, representing 11 percent of the total. They also found insect nests in other 14 houses. 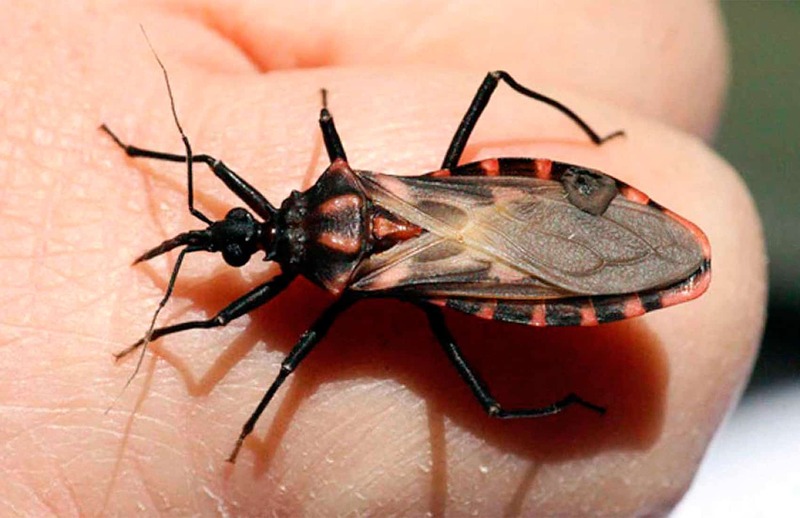 Experts advise people who find the bug or suspect it might be breeding on their property to request assistance at the closest medical center, and if possible, take one specimen to confirm it is a Chagas’ disease carrier. Community clinics, or EBAIS, also have available information on how to eliminate breeding sites and to prevent the bug’s spread.